Finding the right and suitable flat can sometimes be a tasking endeavor. One has to be patient and resourceful enough to choose from a list of competitive and reputable flats, but not necessarily expensive ones. You should be prepared that you may not find something immediately, although there are times when you will get lucky. There are certain aspects of searching for renting a flat you should keep in mind to ensure that you rent a place that is right for you. You should be prepared to pay a deposit of up to two or three month’s rent. The money deposited is usually placed by your landlord or you and is expected to be returned to you when you decide to leave or end your contract. Provided further there are no other outstanding expenses or damage to the apartment; in making transactions such as like these it is always wise to keep a receipt of the transaction. If you decide however to use a letting agent for the dealings in your behalf, be ready with commission payments, in addition to the down payment for the advance rental that you have to make. If you don’t have that much money, hiring letting agent will not be a wise decision. Before signing your rental agreement, be sure to carefully read the terms and the conditions expressly or explicitly provided in the contract. If you have difficulty in understanding the terms, have some knowledgeable but reliable person explain it to you. This could be a friend, attorney or relative. 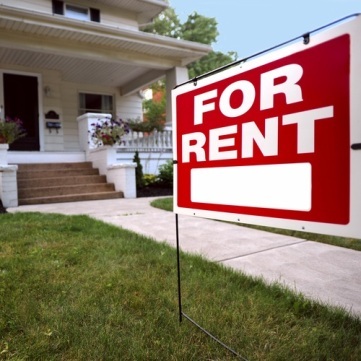 In the contract, try to find out if utility costs are included in the rental fees. Most of the time, utility costs are not included. So if the rental fee is already expensive excluding the utility cost like telephone bills, electricity, water etc., then better think twice before entering a contract. It will not be an issue however if you have the money, but if you have limited resources, then try to find other alternative options. Other flats have already included in their rental package some of the necessary utility expense. It may be wise to consider other options when trying to making the right decision. The most convenient, safe and best way to find a place to rent is through connections, this includes friends, office colleagues and close relatives. Social networking sites like facebook and twitter will prove to be useful for this, as well. It does help if you have a lot of acquaintances who can advise you on what or where is the best and safest place to rent.